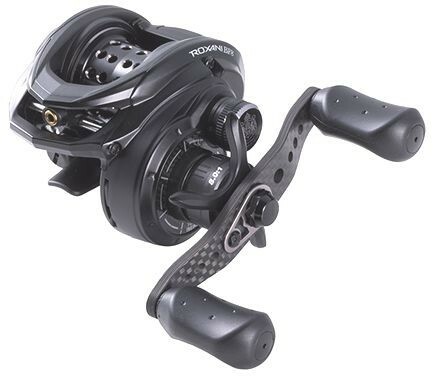 ABU 2018 Roxani BF8 reels are high-value finesse bait casters, suitable to cast 5-10g 3/16-3/8oz rigs. It has durable aluminum body frame. Its brake system is Magtrax-X systems, to carry 10 magnets to have strong and wide brake adjustability. Salt Shield ball bearing offer long life with saltwater for this reel. Shallow spool will remove total weight from spool allowing it to be able to cast light rigs. Jun's comment: Its spool weighs a little heavy at 15.3g, and this is not a reel to cast ultra light rigs like 2-3g no sinker small plastic worms. Combined with the Magtrax-X brake, this BF8 casts well for 5-7g 3/16-1/4oz jigs very well at pitching. Brake controls spool very well and you will not see birds nest.